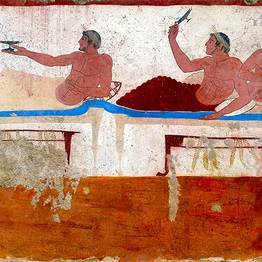 Visit ancient Greece...in southern Italy! The Paestum archaeological site is about 100 kilometers south of Positano, and is famous for its perfectly conserved ancient Greek temples, unique in the world. It's not easy to travel from Positano or the other towns on the Amalfi Coast to Paestum by public transportation. You first need to take the bus to Salerno (if you are departing from Positano, you must change bus in Amalfi) and then the train to Paestum; the entire trip takes between 2 and 3 hours. 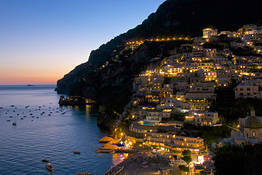 During the summer months, you can also take the ferry from Positano and Amalfi to Salerno. From Salerno, there is both a train and a bus to Paestum. 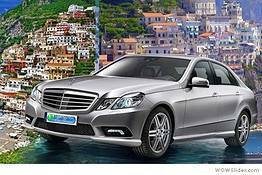 A much more convenient alternative to public transportation is to book a private transfer by car with driver, or rent a car and drive yourself. To Drive or Not Drive on the Amalfi Coast? The famous 163 highway which skirts the Amalfi Coast to Salerno is 50 kilometers of curves and drops along a narrow road which is often blocked by traffic, especially when it passes through the coastal villages. We suggest renting a car only if you have experience driving in these conditions. Private tours by car from Positano and Amalfi to Paestum lets you enjoy the drive along the Amalfi Coast to Salerno, including the option of stopping off in the less well-known coastal villages like Cetara and Vietri sul Mare. On the way from Salerno to Paestum, you an also visit the artisanal mozzarella and cheese factories and sample the best local products. 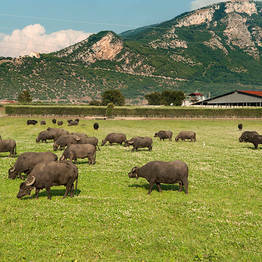 The area around Paestum is famous not only for its temples, but also for the local herds of buffalo which produce the excellent fresh buffalo mozzarella beloved across Italy. You can stop at a ranch, sample their products, and even enjoy lunch in the countryside.